There's reports that Emiliano Sala, the new £20million signing for Cardiff, was on that plane that's gone missing off Guernsey. Fingers crossed not, and whoever was is found. Last edited by LGTL; 22-01-2019 at 07:59 AM. Also confirmed by french news agency AFP that Sala was on board. The flight was from Nantes to Cardiff. It doesn't look good! At this point you are hoping for a miracle. Let's hope he and the pilot are sitting in a liferaft watching out for the coastguard. Truly awful news - hope by some minor miracle he and the pilot are safe somehow. Fingers crossed for them both. I really hope for a positive outcome with this. Just horrifying news. Absolutely, and most importantly I hope they are found safe and well. What would happen to the transfer fees here? The financial impact on the clubs is clearly a secondary concern, but what would be the protocol here? In purely financial terms, Nantes have lost a striker and will (I assume) not be getting any compensation. Apologies to those that find it vulgar/inappropriate talking about this. I'm genuinely curious. Given that they are "company"assets they will be insured in some way. He is/was a cardiff player, done deal. I imagine Cardiff will pay Nantes as agreed. Cardiff will have insurance for such a circumstance. I often flew single engine aircraft over the channel in my early days but never felt comfortable. 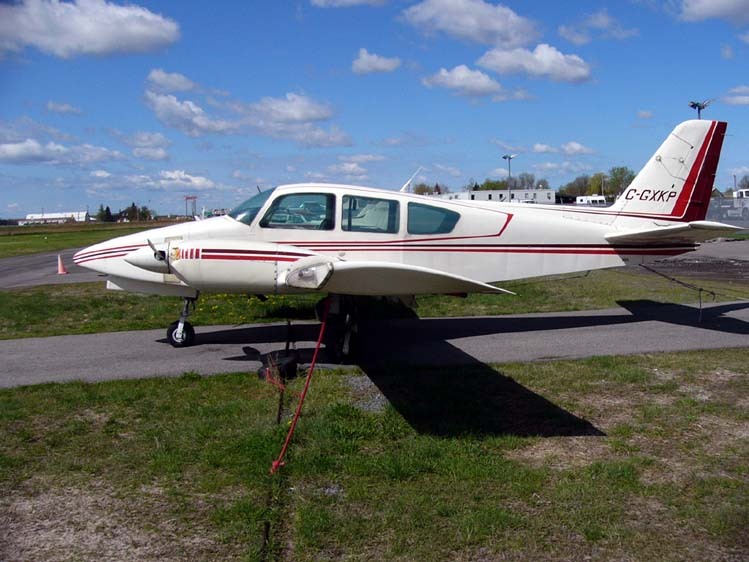 The a/c was a Piper PA46 Malibu single engine turbo prop which are usually more reliable than piston engines. Getting the aircraft down on water is doable but horrendous at night. A pilot I worked with, an airline captain, ditched a C172 high wing single engine Cessna off Alderney at night and was never seen again. Another pilot hired my pal's Grumman Cougar and low flying off Sandown hit the sea and ditched just off the beach. He got out unhurt, his wife didn't and although a search was made the aircraft was never found. Even if they got down, it's odds on they may have gone straight down. Getting into a dingy at night is almost impossible even if it was inflated. I pray that they survived against all odds. Why didn't you feel comfortable - because it's a single engine and there's nowhere to land? Sorry, if that's an obvious question. Genuinely interested. Another pilot hired my pal's Grumman Cougar and low flying off Sandown hit the sea and ditched just off the beach. He got out unhurt, his wife didn't. A Cougar. Really? How on earth did he get that? And where was his wife sitting in this single-seat carrier-based fighter? Presumably he simply mixed up Grumman and Gulfstream. Must be gutting for Cardiff. Big new signing, probably dead - tragically. It's not irrelevant to Cardiff. In a word yes, nowhere to land firstly, secondly mostly fixed undercarriage, thirdly piston engine, if it fails as they sometimes do you've got to be very lucky. Failure drills are second nature but in the middle of the channel there is only one place to ditch and pray a ship is close by and sees you ditch. doing it right and getting out is another matter. Never at night. Yes, a nice little aeroplane, a bit underpowered but at least two engines. The guy who ditched it obviously hadn't done much low flying. The weather was low cloud, Jersey had refused him entry but he took the aircraft anyway for a jolly around the island. The fishbowl effect with no horizon over the sea is disorientating. The safety drill is a tiny bit of backward trim so that if you take your eye off the instruments, visual clues, the aircraft will slowly climb. It was leased by the then Southampton school of flying at Eastleigh and rented out to twin rated pilots at an hourly rate after a check out. It was a long time ago but I think she was in the back because I think he had a child in the front. She was the only one left in the a/c when it sank. Not really, it was made by Grumman but the name was changed to Gulfstream I believe, but we always called it a Grumman Cougar. How easy is it to ditch? Can’t help but think you’re a goner if you’re attempting a water landing and all the preflight safety info on it is more for keeping up appearances. I think that is the one, the pilot was Dave Regi. Fairly sure he is/was a pilot of some sort so I doubt it. Yes, for 37 years. From C150 to B767. Awful news re Cardiff’s Sala. I feel desperately sorry for his family. The odds are against it but possible. Fixed undercarriages and a high wing are a problem. We used to do dingy drills plus the slides detached and were to be used as well. However I had no illusions about getting 180 tons of an aircraft down on the Atlantic at night let alone getting out and surviving. My pal who posts on here lost all four engines on a 747 over Indonesia in 1982, they got them going again and levelled about 17000ft. Now that was close. Dined out on it ever since. They often say that airline pilots are no more than glorified taxi drivers. Not really very accurate when you hear that story about your friend Derry. A fan belt going at 60mph on the M25 is not quite the same as losing all power at 30 odd thousand feet in a jumbo jet. Don't know how people do that job. It's bad enough flying on holiday when the weather is a bit blowy. How you do that every day of your life is beyond me. It's a great job. You do so much training in simulators that eventually when something does go wrong it is almost routine. Sometimes as a passenger I've only noticed the touchdown after the event because I was engrossed in my book. I will say I would have noticed any strange sound or movement immediately. The use of the expression "eventually when something does go wrong" is enough for me. Too much of a coward. Pretty weird situation to be honest, you hope that the passengers are found safe and well (think there were only 2 or 3 on there?) but let's be honest the chances of that are pretty slim now. That's THIS STORY isn't it? Was only discussing that recently. Had it in my head that that was you, but another poster then? It's pretty cool to actually meet him - and then watch him jump up and down like all the rest of us - when you know who he is and what he's done. Like my Dad used to say "You never know". But I fear that today's story will not have a happy ending. As the transfer of the player went through, Nantes will be owed the money by Cardiff. In terms of CC getting their money back or what happens with them, there is some form of permanent total disablement inc. accidental death cover provided through the Football League which will give them a payment, but unless they took out a particular Key Person insurance (which not many clubs do) they may not be able to recover much of that back. The Key Person insurance wouldn't cover the cost of the transfer they've just agreed to pay. Thoughts go out to Sala and the Pilot's friends and family. Yes Eric sits two seats down from me in the Itchen. On another tack the Isle of Wight GA7 accident was G-ECCO. 24th Feb 1985. There were four on board. The pilot, friend in the front, wife and two year old daughter in the rear seats. After the plane stopped it stayed afloat for 60 to 90 secs then sank. The pilot was lucky as the window on his side detached, he got out, the friend handed him the baby then got out himself. The both tried to pull the wife out but the plane sank before they were able. The pilot was unhurt but the other two had injuries. He and the friend were looking at a chart to get a radio beacon frequency when they hit the water. He only had 171 hours flying and 7 on the aircraft. I found the accident report. The other accident I mentioned was in also in Feb 1985. We were never sure whether it was staged as the pilot I think was in legal trouble. Many thought he ditched it and disappeared on purpose. I remember being told at the time in Jersey that the controller thought he was far too cool with his distress call. Whilst repeating everyone else's wishes that they are safe and well, I must admit that when I first heard the news, I only heard the end of the bulletin and that "Salah was in the plane". Hi Bill, The head of the rescue/search has said that the sea is too cold and nobody could have survived this long. In my view unless they managed to get into a dinghy. In the absence of flares and an air search covering 1000 sq miles, unlikely. In 1974 I flew up and down a small piece of the channel at very low level for about five hours looking for a body but never saw a thing. Last edited by derry; 22-01-2019 at 03:08 PM. I was sat on a 747 out of an icy Toronto Jan 1983, the stewardess was handing out the papers and as it was before back of the seat inflight entertainment. I took a copy of the Toronto Star as it looked thick enough to keep me quiet while waiting for the big inflight film to come on (Rocky 3). As I meandered through it there was a full page article about that flight and the volcanic dust all in sensational detail perfect reading at 35,000 feet!! - I should have turned the page but morbid curiosity got the better of me to read on. It was first time I had been that far in a plane and was aware of the route home up over the North Atlantic, also knowing that if we survived ditching in the sea we were likely to be done for by the cold within minutes. I thought they got lower than 17,000 feet as I remember a comment about being able to see the moon glinting on the waves as the engines fired back up...........journalists always sprinkle a bit of license on stuff.